Canine Companions Rescue Center is a non-profit 501(c)3 corporation founded in 2004 for the purpose of working with the community and area animal control agencies to promote the adoption of dogs without families. It is our goal to rescue dogs with good family potential. If our adopters and our dogs are both happier after the match, then we've done our job! Our adoption fee for all of our dogs, regardless of breed, is $200 for adults and $275 for puppies. As part of this fee we will bring your dog up to date medically, including a spay or neuter. The adoption fee also includes a post-adoption vet visit with one of CCRC vets. For more details on what is covered, please see our Health Statement on the Adoption Application page. These services would run over $300 at the vet, so adopting a rescue dog makes good financial sense! Are you looking to re-home your pet? CCRC only takes dogs from animal control agencies, but we can now offer a service through Adopt A Pet where you can list your own dogs just like we list ours. 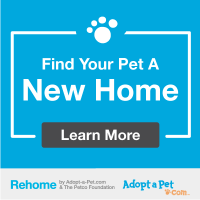 Use this link: https://rehome.adoptapet.com/r/87057, or click the button on the right, to list your pet online. For up to date news about all of our events and adoptions, like us on Facebook! You can also schedule an appointment during the week when you fill out an application!!! Please visit the various pages under the How You Can Help tab at the top of this page to see a full list of our fundraisers and other ways you can help. Would you like to make a designated donation (In Memory Of, or In Honor Of)? If so, please use the form HERE.